Since Papa Bandelero got Papa inna real life, it took nearly a year for the new mix. But finally, Push up yuh lighta Vol.19 (! ), is out!! As you know and love it, he compiled and mixed the biggest hits and his favorite reggae & dancehall tunes of the last year, plus some Prereleases, Dubplates and Remixes together for one amazing mix. Tune in & enjoy! 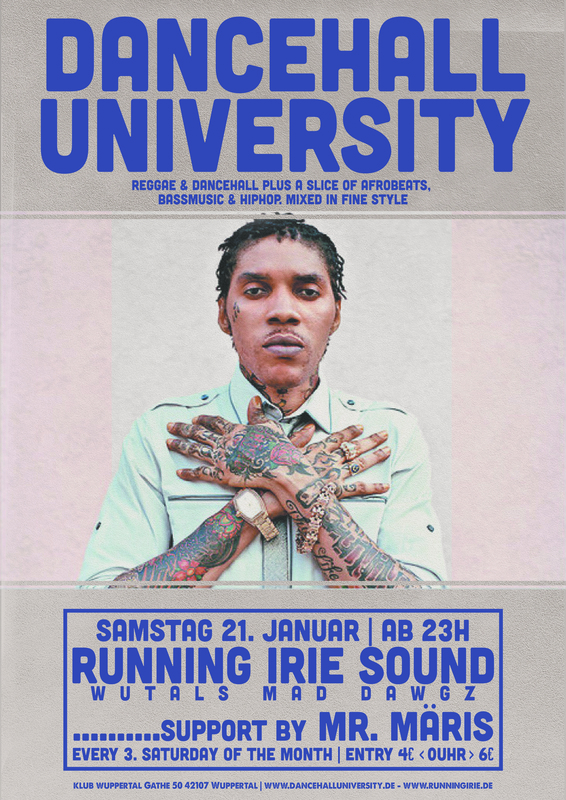 Sa.17.6 Dancehall University @ KLUB! 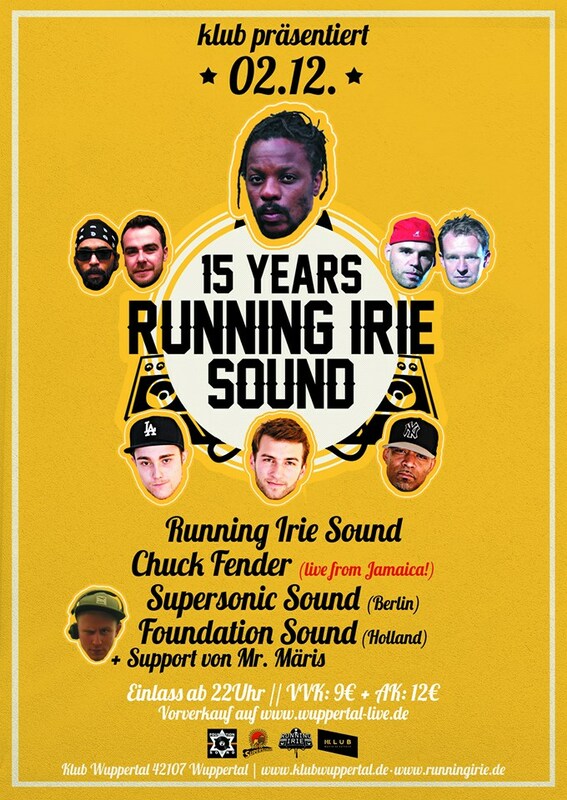 Samstag 6.5 – Running Irie Sound pres. Dancehall University @ KLUB, Wuppertal. Reggae & Dancehall plus a little bit of Afrobeats, Bassmusic & Hiphop. Mixed in fine style. Special date in May: Saturday 6.May @ KLUB, Wuppertal. Next Date: Saturday 15.April @ KLUB, Wuppertal. Reggae & Dancehall plus some HipHop, Bassmusic & Afrobeats in fine style. Tell your friends & family! This one is all about music & good vibes! Forget your troubles and dance! !